The triumphs and (mostly) heartaches of two inner city Chicagoan youths, standouts on the basketball court, who are recruited to a renowned suburban parochial school. 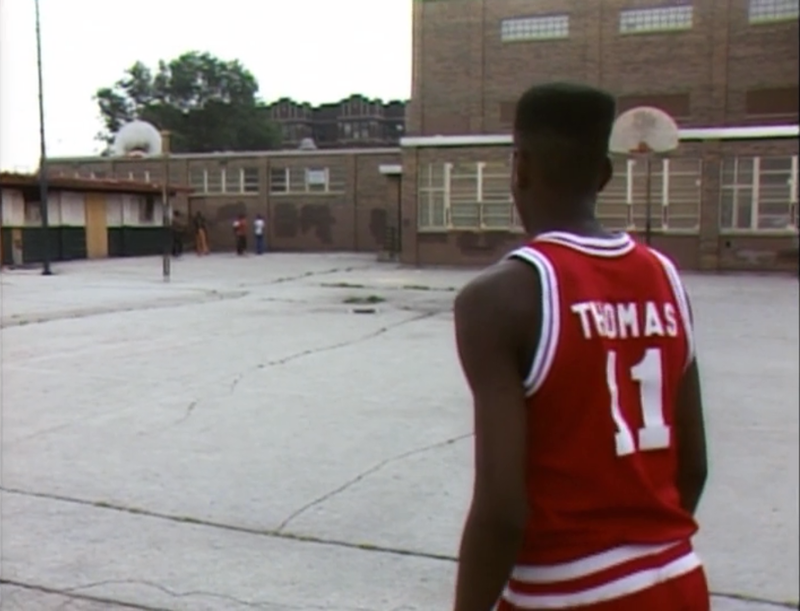 Filmed over the course of five years with miles upon miles of footage, Hoop Dreams, the collaborative effort of Steve James and Frederick Marx is epic documentary filmmaking at its most empathetic, with lovable, heartbreaking subjects, keen social insights, great moments of drama and suspense, and a colorful range of supporting characters. An eloquent, impoverished, black homosexual street hustler (Will Smith), claiming to be the son of Sidney Poitier, insinuates himself into the lives of a snobbish Upper Eastside couple (Donald Sutherland and Stockard Channing) who are at first charmed, then repelled when his ruse is made apparent, and again delighted to have the experience as an anecdote for social gatherings. John Guare’s adaptation of his own class comedy stageplay takes an irritating comic tone which shifts into more serious fare and gives the film weight. Fred Schepisi overdirects in the hopes of opening the material up for the screen, although the film does featuring some outstanding exterior visuals of the city. Sutherland and Channing (an Oscar nominee) are irritating and off-putting, probably by design, and Smith is surprisingly quite good in this odd early career acting choice. 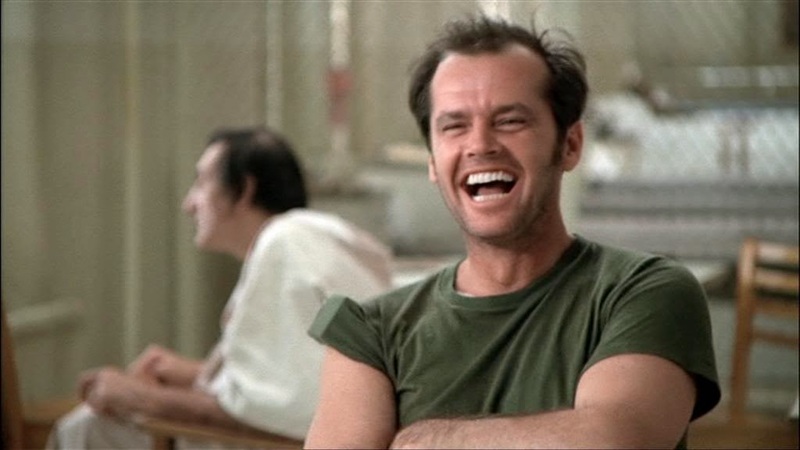 A vibrant convict (Jack Nicholson), seeking reprieve from the work farm, feigns mental illness and inspires enthusiasm and rebellion among his fellow downtrodden, emasculated patients at the state hospital, all victims of Big Nurse’s (Louise Fletcher) icily calculated control. Of One Flew Over the Cuckoo’s Nest’s many achievements, foremost is its ability to capture audience attention so completely, be it your first time viewing or your fifteenth. Though drastically different in tone from Ken Kesey’s drug induced first hand fiction, supremely on display are Milos Forman’s deft directorial abilities, the quintessential Jack performance, Fletcher as the perfect foil, a superbly chosen supporting cast, Haskell Wexler’s erudite cinematography, all adding up to an enduring fable on the testament of the human spirit. In 1992 Chris McCandless (Emile Hirsch), an intelligent, affable recent college graduate hailing from a well to do family, quietly and completely exited his life, abandoned his car and all possessions, and set off to explore the wilderness of the Western continent with the Alaskan interior in mind as his final destination. As he encounters an array of people and terrains he ambles along contentedly to a lonesome and tragic demise. Jon Krakauer’s fascinating, journalistic account of McCandless’s journey is hampered by director and book adapter Sean Penn’s pseudo-documentary structure which serves to somewhat distance the viewer from the story. The scenery, however, is spectacular and Penn does try diligently to remain faithful to the book. Hirsch gives it his all but doesn’t really have the chops to match his will, though he is given wonderful support from Hal Holbrook, Cathy Keener, and Vince Vaughn. Lastly, the Eddie Vedder soundtrack grows awfully wearisome and mundane. A small feudal village under threat from a roving group parasitic bandits seeks protection from a band of brave, downtrodden warriors. 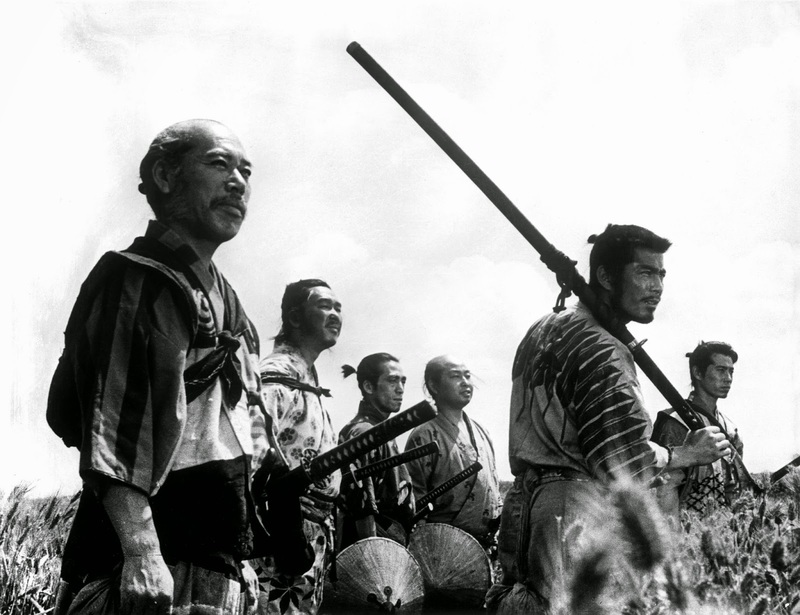 Akira Kurosawa's Seven Samurai, a cornerstone of world cinema, much imitated, celebrated and revered, is a marvel of filmmaking. From quick cutting, high octane action sequences to poignant, thoughtful, contemplative, or very humorous scenes, it is a comprehensive moviegoing experience. Toshiro Mifune as the manically, electrically charged combatant and Takashi Shimura as the group's sagacious leader showcase the film's tone in two remarkable performances. Hannah (Mia Farrow) lives a well-adjusted life, acting as the center for the rest of her dysfunctional family: stage parents who continue to act out their arguments from forty years prior. 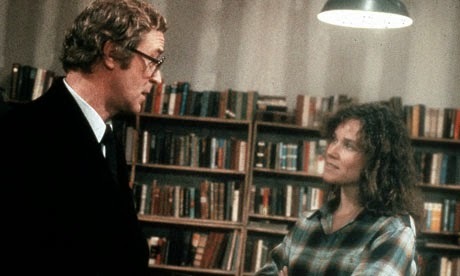 her stuffy second husband (Michael Caine) who longs for her younger sister (Barbara Hershey) and who herself is ensnared in loveless marriage to a tortured and much older artist (Max von Sydow). Her hypochondriac ex-husband (Woody Allen), who quits his job, seeks a major life change, and stumbles into the orbit of her other scatterbrained sister (Dianne Wiest). Hannah and Her Sisters is one of Woody’s finest achievements, a disparate group of stories deftly woven together and presented with warmth, humor, and depth. The cast is impeccable with Farrow, patient and lovely, Woody crafting one of his most neurotic and perfectly situated roles, and Oscar winners Caine and Wiest plus Hershey and von Sydow absolutely riveting in support. In the midst of wedding arrangements and the onset of her thirtieth birthday, Lola (Greta Gerwig) is dumped by her fiancé and encouraged by her friends to recover and stake her claim in the world. Lola Versus is the kind of toothless, tepid hipster indie filmmaking that has come to dominate the market, here with Gerwig loosing much of her usual appeal in a film bearing several similarities to Frances Ha, but little of its wit and style. 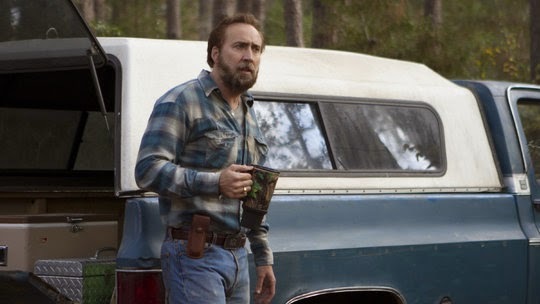 An ex-con (Nicolas Cage), running from his past and volatile temper while remaining well liked in the community, takes on a 14 year old boy to his tree removal crew and finds himself becoming his protector from an abusive, alcoholic father (Gary Poulter) and other predatory trash who inhabit their impoverished Southern locality. Following a series of crummy big budget comedies and the misguided, attempted recoil Prince Avalanche, Joe (adapted from Joe Brown’s book by Gary Hawkins) is David Gordon Green’s successful return to the kind of rurally set indies on which he built his name. In addition to reasserting Green’s abilities, it also serves as evidence that Cage is still capable of contributing a commanding lead performance. The rest of the film is wonderfully and knowingly flavored, with Sheridan excellent as the determined, wide-eyed youth and Poulter, Ronnie Gene Blevins, and the rest of the ensemble particularly well cast. 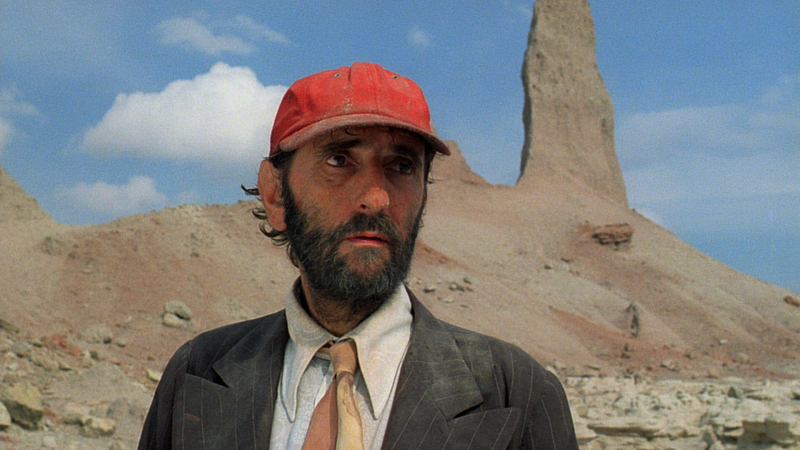 A mute, dirty, bedraggled man (Harry Dean Stanton) stumbles out of the endless, barren desert and into a remote filling station where he promptly collapses. His estranged brother (Dean Stockwell) is notified and comes to fetch him, bringing him to his suburban L.A. home where the man learns his son has been raised since he was abandoned some years back. After regaining his words and reconnecting with the boy, he determines to locate his ex-wfe (Natassja Kinski), also absent but who has continued to provide support for the child. Wim Wenders’ Paris, Texas moves at an extremely measured clip, studiously studying its main character while beautifully capturing its desolate backdrops. Stanton gives a profound, reticent performance, Stockwell is strong in support, and the bizarre, anachronistic ending has a hypnotic quality like something out of a later David Lynch movie. Fans gather at the Fitzgerald Theater in Minneapolis for a live folksy, antiquated radio program not knowing it will be the final broadcast, the venue having been sold and the show cancelled. As the performance plays out onstage, drama and intrigue unfold backstage: a private detective (Kevin Kline) pokes around, an axeman (Tommy Lee Jones) from the foreclosing corporate outfit assesses the situation, the pregnant stage manager (Maya Rudolph) hounds the procrastinating host (Garrison Keillor), and cast members kid, reminisce and say their farewells as a mysterious, angelic figure (Virginia Madsen) looms over all. Keillor’s screen adaptation of his own long running radio program and Robert Altman’s last film as a director is a whole lot of fun on all accounts, successfully capturing the whimsical, folksy, nostalgic feelings associated with the cherished show while crafting a warm, offbeat, and very funny movie. 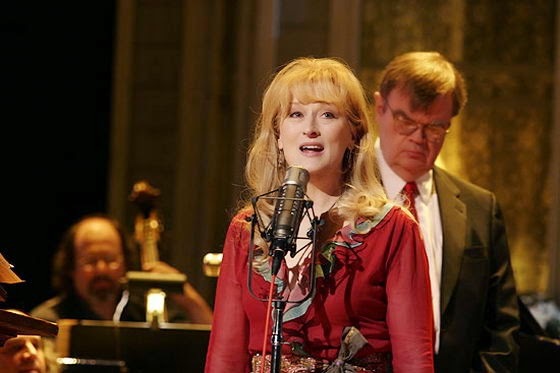 Meryl Streep and Lily Tomlin contribute excellent performances as a pair of singing sisters with Lindsay Lohan surprisingly game as Streep’s daughter, and John C. Reilly and Woody Harrelson are a hoot as a duo of crooning cowboys. 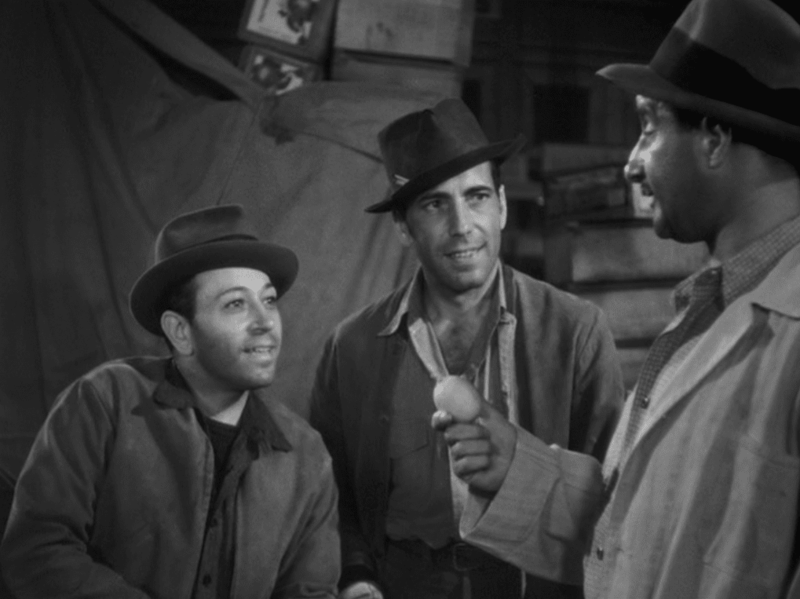 Two brothers (George Raft and Humphrey Bogart) undertake the precarious duties of long haul California truck drivers, dealing with aggressive creditors, miserly vendors and bosses, and the constant threat of death due to lack of sleep and an underdeveloped highway system. Raoul Walsh's They Drive by Night switches gears so wildly and isn't exactly cohesive but is very effective and entertaining. Ann Sheridan is amiable as Raft's love interest, Alan Hale is hilarious as a drunken trucking boss, and Ida Lupino has a wild, demanding role as his vile, jealous wife. An overanxious comedian (Woody Allen) falls for a flighty bohemian (Diane Keaton) and finds himself sabotaging their relationship. Annie Hall is probably Woody's most successful and reputed film and the foremost of his comedies, as the one-liners mostly land and the proceedings are kept fresh through a series of endless inventiveness which include animation, subtitles, inner monologue, flashbacks, cameos (Christopher Walken, Paul Simon, and Marshall McLuhan are high points) and other inspired innovations. 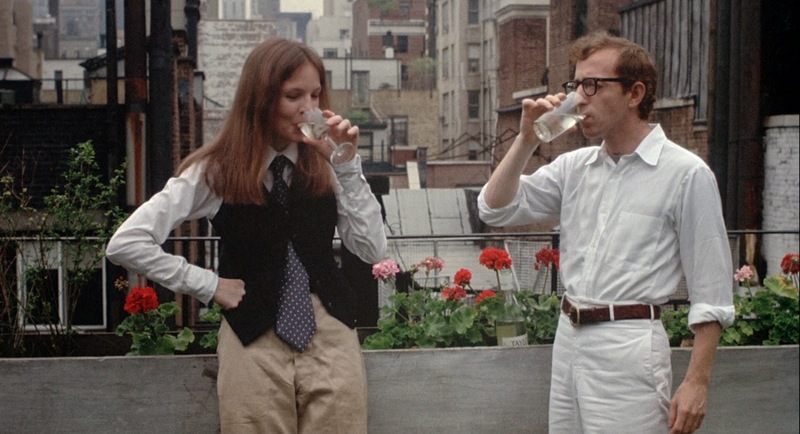 Keaton and Allen are both excellent in career defining roles, but as good as the film is I don't think it is in league with the monuments of his later career (Manhattan, Hannah and Her Sisters, Crimes and Misdemeanors), films that Annie Hall paved the way for. 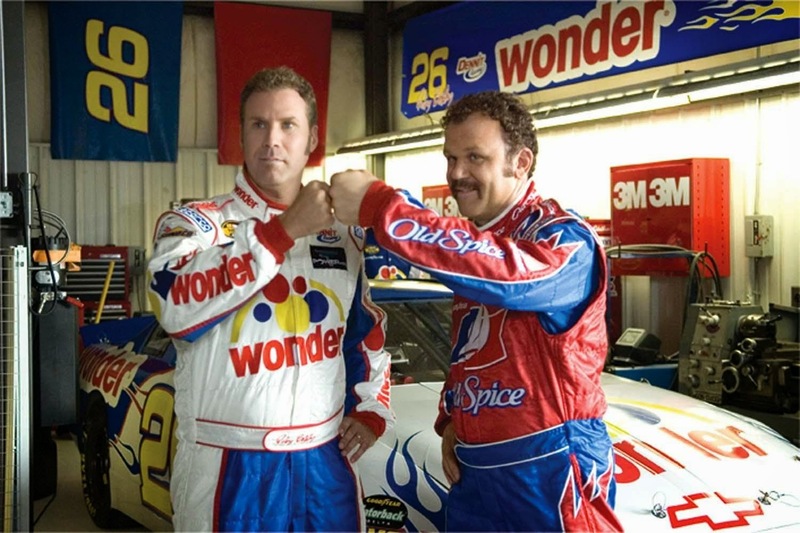 The story of Nascar legend Ricky Bobby (Will Ferrell) whose star begins to fade when he is challenged by a fruity Formula One Racer (Sacha Baron Cohen) and his sycophantic best friend (John C. Reilly) starts to question his allegiance. Stupidity abounds in Talladega Nights nearly running the picture off road, and the first half is far funnier then the second, but it still contains more belly laughs than most things passing for studio comedy these days. Ferrell and especially Reilly, along with a lot of the supporters (Baron Cohen, Molly Shannon, Greg Hermann, Michael Clarke Duncan, Jane Lynch, Gary Cole) help keep the movie on track. A highly skilled special ops agent (Val Kilmer) is charged with the retrieval of the Vice President's daughter following her kidnapping, ordered to function in a stealthy and effective manner before the incident becomes a global news story. Kilmer is potent in this mundane, implausible, and murky thriller which can't be saved by director David Mamet's characteristically hard-nosed dialogue and plotting. Two strangers, an obituary writer (Jude Law) and a stripper (Natalie Portman), make eye contact on a bustling London street just before she is struck by a cab. A year later, the two are living together and he is preparing for the release of a new book as he falls for the photographer (Julia Roberts) of his jacket photo. 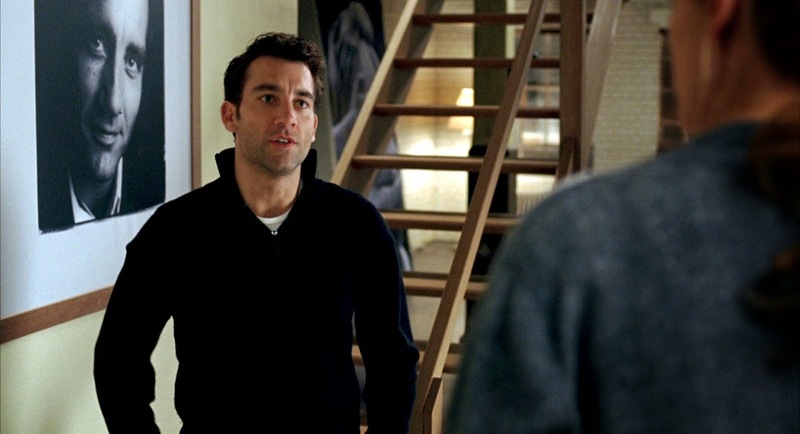 The love entanglement takes a fierce turn when a fourth party, a barbarous dermatologist (Clive Owen), is cruelly drawn in and takes pitiless revenge when he is again betrayed. Mike Nichols’ filming of Patrick Marber’s play (which he scripted for the screen himself) is a frank, harsh, and verbally explicit look at love and the ugly lengths that those involved in it go to. The acting is tremendous, especially Law (in an undervalued performance), Portman, and most unforgettably, Owen in a ferocious, darkly comical, and strangely sympathetic portrayal. After a jewelry store takedown comes off nearly without a hitch, a professional con man (Gene Hackman) and his crew are denied payment by their ruthless backer (Danny DeVito) who demands they take on one final score: the hijacking of Swedish jet to relieve it of its gold holdings. When a backup escape plan falls through, the crew is stuck not only with carrying out the daring heist but also in taking on the boss’s weaselly, hot headed, amateurish nephew (Sam Rockwell). The title job of the film takes second stage to David Mamet’s trademarked tough talking, crackling dialogue which takes on a certain ferocity when uttered by Hackman and DeVito during heated exchanges. 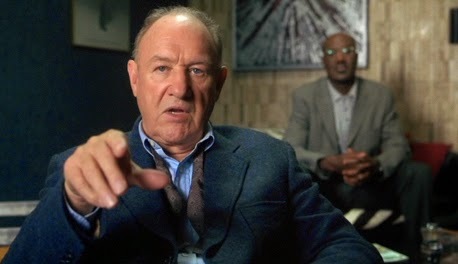 Hackman delivers one of his finest twilight performances and supporters Delroy Lindo, Ricky Jay, and DeVito are a whole lot of fun as shifty conmen. A basketball hustler (Woody Harrelson) with a crippling gambling addiction presents himself as a goofy, baggy clothes white boy and works the courts of Venice Beach. After burning a fellow fast-talking conman (Wesley Snipes), the two form a tenuous, volatile partnership and enter a high stakes 2-on-2 tournament. 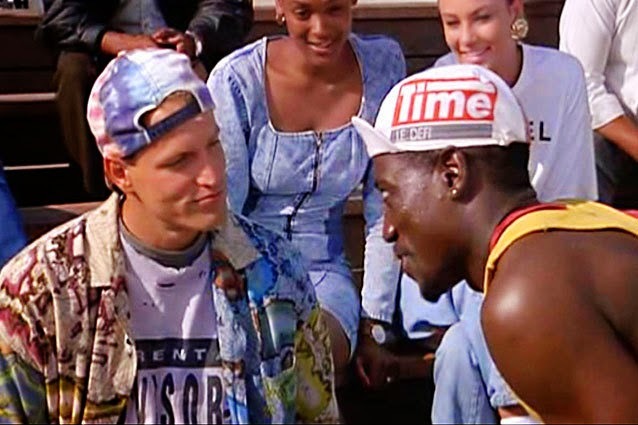 Ron Shelton's White Men Can't Jump is a highly informed sports movie on top of being a whole lot of fun. Harrelson and Snipes both turn in funny, likable performances in addition to looking like seasoned veterans on the blacktop. Rosie Perez has a charming supporting role as Woody's girlfriend. Following a deadly highway armored truck robbery, a hawkish L.A. detective (Al Pacino) is put on the trail of a seasoned bank robber (Robert De Niro) as his squad prepares for one final takedown. Michael Mann's Heat is an engrossing crime saga and exemplary character study with all of the director's trademarked visuals, stylistics, and ideas in top form. De Niro delivers a controlled, sage performance while Pacino's welcomed, over-the-top theatrics gradually refine themselves into an equally excellent turn. The film is compulsively watchable, endlessly quotable, and brilliantly casted with Val Kilmer, Ashley Judd, Tom Sizemore, and Jon Voight all serving as standouts. Seven stilted researchers compiling an encyclopedia in a New York townhouse find their benefactor growing increasingly more impatient at their laborious, unhurried pace. Meanwhile one of the compilers (Gary Cooper) finds he is hopelessly uninformed on his latest research subject, American slang, and hits the streets to learn firsthand about the topic. When he meets a sassy nightclub dancer (Barbara Stanwyck) on the run from her mobster boyfriend, he takes in the ideal study subject who transforms himself and the rest of the stodgy bachelors. 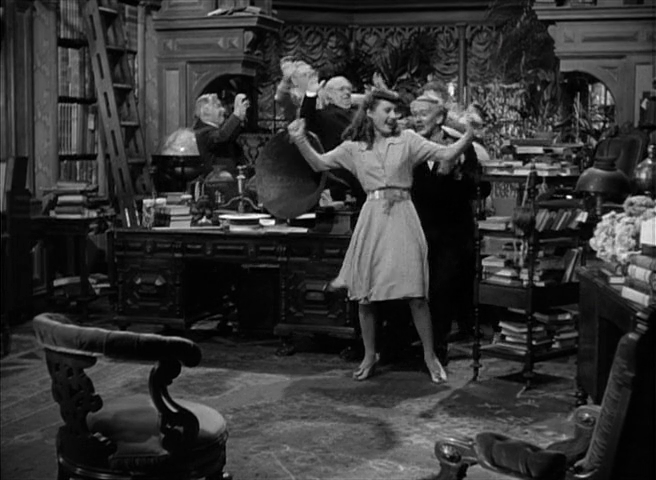 Directed by Howard Hawks, Ball of Fire is a funny, amusing riff on Snow White and the Seven Dwarves with the type of quick, witty script that Billy Wilder and writing partner Charles Brackett would perfect in later years. Stanwyck is irresistible here and the film glows in her presence. C.C. "Bud" Baxter (Jack Lemmon) is a pencil pushing number cruncher in a sea of pencil pushing number crunchers at a top insurance agency but he has a leg up on the competition which will surely secure him a spot in middle management: a key to his flat which he lends out to supervisors for late night trysts. Soon he falls for an elevator girl (Shirley MacLaine), another wounded, lonely soul, and when it becomes apparent that she is involved with the CEO (Fred MacMurray), Baxter is forced to confront his love life, living arrangement, and work situation. 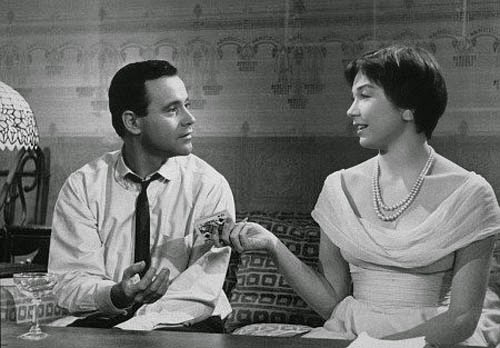 Billy Wilder's The Apartment, a personal favorite from the great German emigre's unprecedented career, is so funny, witty, ultra cynical yet so heartfelt that it gets you to the point it hurts. Lemmon offers one of his finest, most tender performances, MacLaine is affecting in an early role, and MacMurray is excellent as the heartless dolt, with the rest of the cast (especially the lecherous members of upper management) in superb form. Told in twelve varied, discontinuous episodes, Vivre Sa Vie tells the tragic story of a young Parisian woman who leaves her husband with aspirations of becoming an actress, but winds up a prostitute. 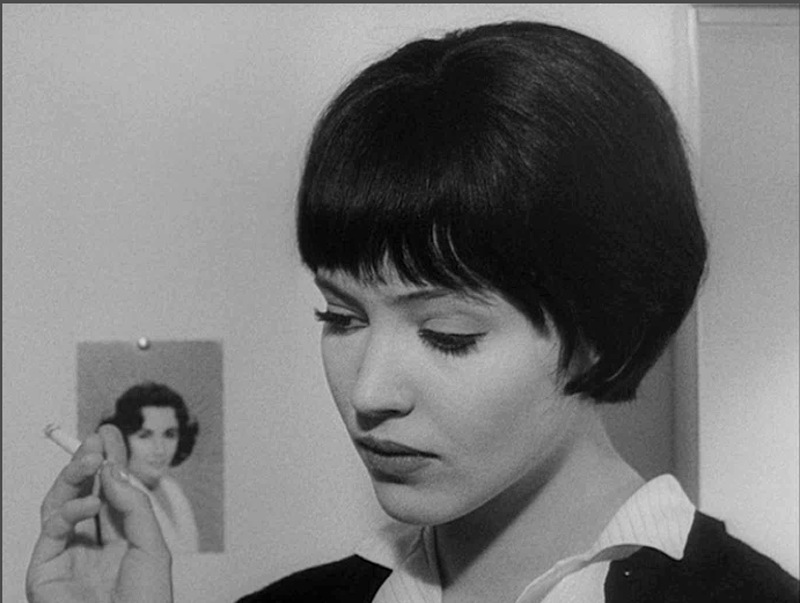 Jean Luc-Godard’s New Wave staple is fresh and well-realized with then wife and favorite collaborator Anna Karina lovely in the lead role. Details of the protagonist’s professional life are frank and shocking which are blended with other lighter, more poignant moments offering a unique cinematic experience all told through Raoul Coutard’s tremendous black and white photography. 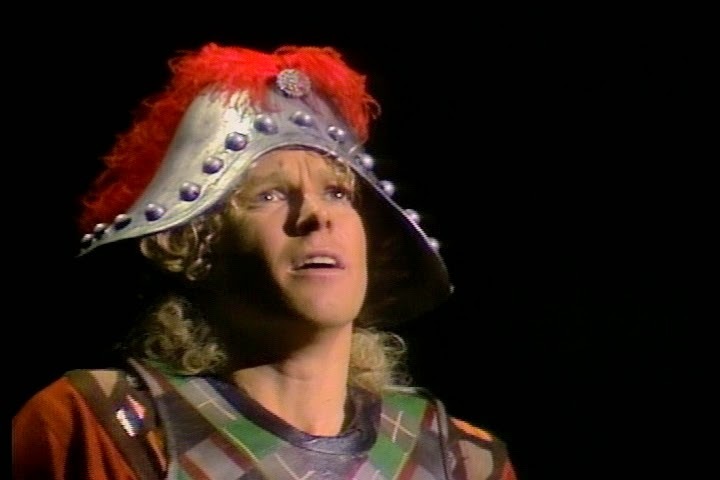 This filmed version of Stephen Schwartz's musical tells the story of the oldest son (William Katt) of Charlemagne (Benjamin Rayson) and his quest to find meaning in life. As his journey's guide and narrator, Ben Vereen stars in an otherworldly, absolutely spectacular, Tony winning performance. The music is a lot of fun as is director Bob Fosse's choreography before the play hits something of a wall in its second half. 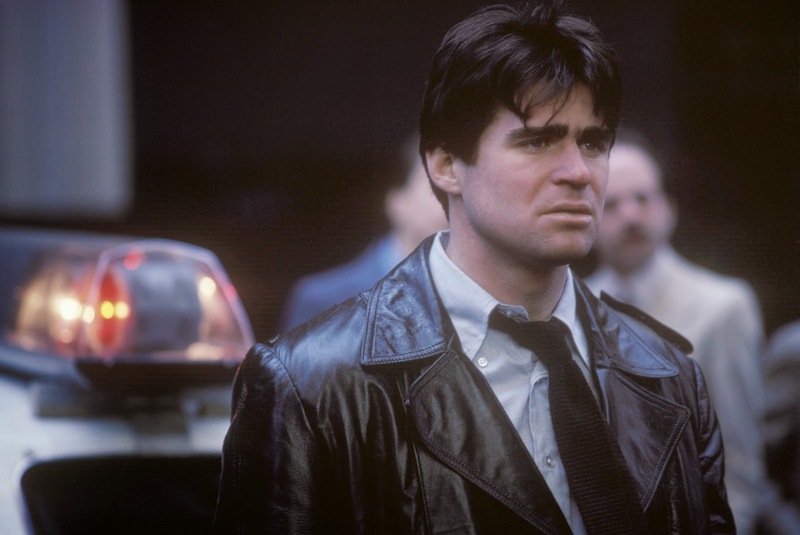 A New York City narcotics detective (Treat Williams) who walks the thin, ambiguous moral line on the job but steers clear of major infractions is compelled by the Justice Department to wear a wire and testify against other members of his department. Acting out of conscience, he reluctantly agrees with the stipulation that he will not be compelled to rat on his partners. When he is outed as the mole, he finds his life in jeopardy and nowhere to turn for help. Based on a true story, Sidney Lumet’s Prince of the City is an involving, harsh, complex and even refreshing tale of police corruption geared towards adults. The detail is impeccable and you can feel the grit oozing off the screen while the protagonist’s trapped, claustrophobic dilemma is just as palpable. Williams’ performance is imperfect but demanding and occasionally powerful. When San Francisco private eye Sam Spade's services are procured by a young woman, his partner winds up murdered shortly thereafter. He then embarks down a sinuous path, encountering a calvacade of miscreants all hell bent on getting their hands on the mythic, invaluable title statue. 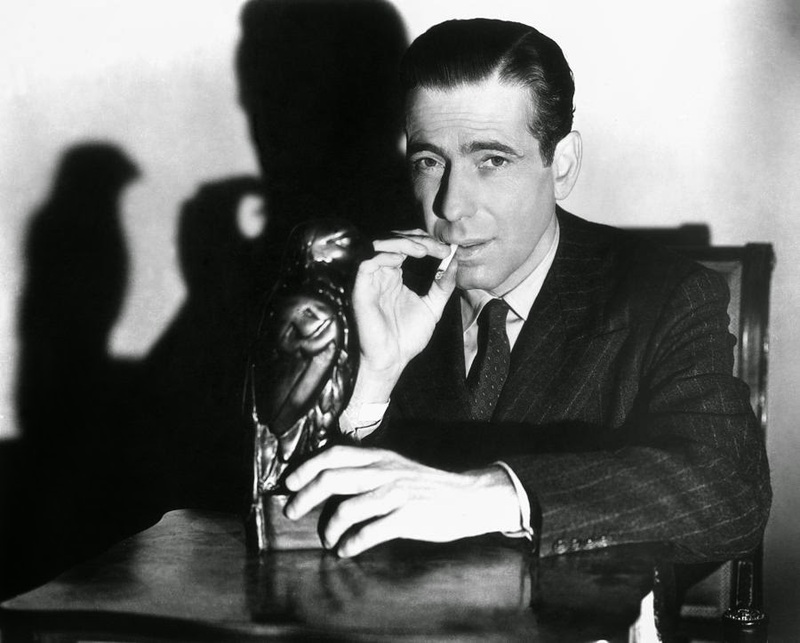 John Huston's The Maltese Falcon, the third filmization of Dashiell Hammett's novel and one of the first films classified as film noir, is an impeccable, shadowy detective story with Bogie inimitable in one of his iconic roles. The dialogue is snappy, the underhanded supporting players (including Peter Lorre and Sydney Greenstreet) are incomparable, and Bogart's cold, final speech to Astor is one for the ages. 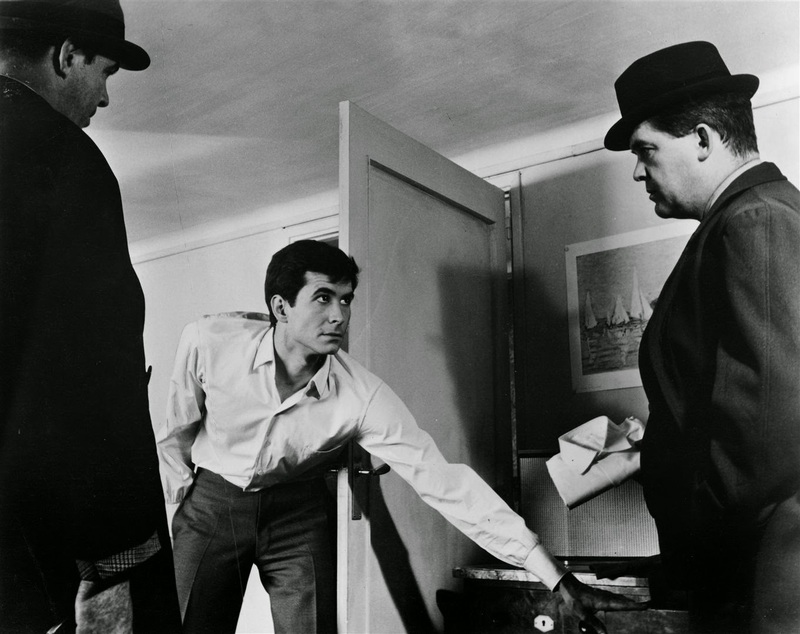 Joseph K. (Anthony Perkins), an significant pencil pusher, is arrested at his flat for an unspecified crime. As he fights the system through layers upon layers of red tape in an exercise of sheer futility, while encountering increasingly bizarre scenarios and characters, his ordeal sharply turns from farcical to tragic. Kafka's vivid and uncompleted novel gets lost in Orson Welles' spectacular visuals and bemused, lackadaisical, and occasionally confounding storytelling. Perkins is impressive in a perfectly cast role. A acting ham and his Warsaw troupe become embroiled in a treacherous and complicated espionage plot when the Nazis invade Poland and it becomes apparent that their resistance leader is collaborating with the enemy. 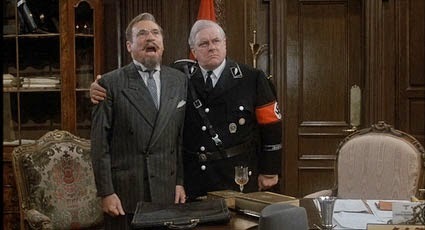 Mel Brooks's remake of To Be or Not to Be follows Ernst Lubitsch's exceptional classic very closely while mining familiar territory for laughs but is still a very funny film thanks to an earnest sense of humor and a spirited cast (with Anne Bancroft, Charles Durning, and Christopher Lloyd standing out) even if its serious scenes don't really work. With no viable candidate to challenge the juggernaut Republican incumbent in the California Senatorial race, an affable, idealistic attorney (Robert Redford) and son of the former governor is tapped to run. Given the promise that he will have free reign over his campaign, he swears off his lifelong aversion to politics and enters the race. As the people respond to his direct manner and the gap closes, he faces incredible temptation to compromise his ideals. 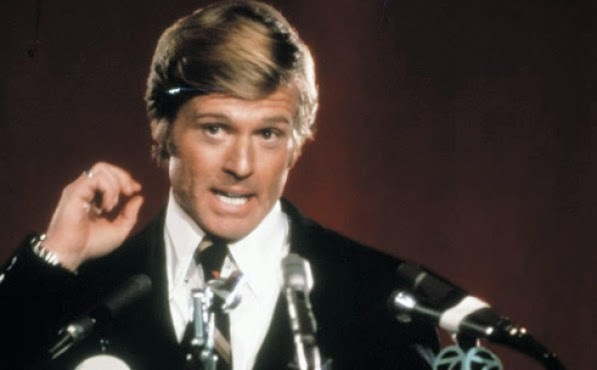 Michael Ritchie's The Candidate features Redford at his most starry-eyed, but for a populist film that sets out to be so satirically biting, it is all kind of humdrum and pedestrian.